Don’t say “bye-bye” to your customers after they click “buy”. Customers are waiting to hear from you after they make a purchase – is my order fulfilled, did it ship, is it going to arrive on time? Right after the purchase is the best time to engage with your customers. Providing them with an unique and personalized experience is a fantastic way to build loyalty and increase repeat purchases. The tool that you need to create a memorable post-purchase experience for your customers is likely already in your toolbox: shipment tracking information. Don’t just send your customers to the carrier website to look for tracking status updates. You have the customer’s full attention between when they make a purchase and the delivery. Take the opportunity guide your new customer back to your website or create a personalized experience for them during the wait time. Taking the pulse of your physical fulfillment and delivery workflow using shipping data is the key to understanding the health of your overall business. How often do shipments get sent late, causing you to have to pay express shipment fees? How often are shipments delayed, generating extra support tickets? How often are delivery addresses entered incorrectly, causing shipments to be returned? Tie together your online and offline operations using shipping data can help you anticipate issues and proactively set expectations with customers. By using shipping data, customer support outreach can become a proactive, and even automated interaction with customers. When there’s a shipping delay, you can control the customer experience during a negative interaction. When the shipment is delivered, use the opportunity to provide educational material to get customers excited about their new order. Empower your support team to easily create a personal and memorable experience for your customers. 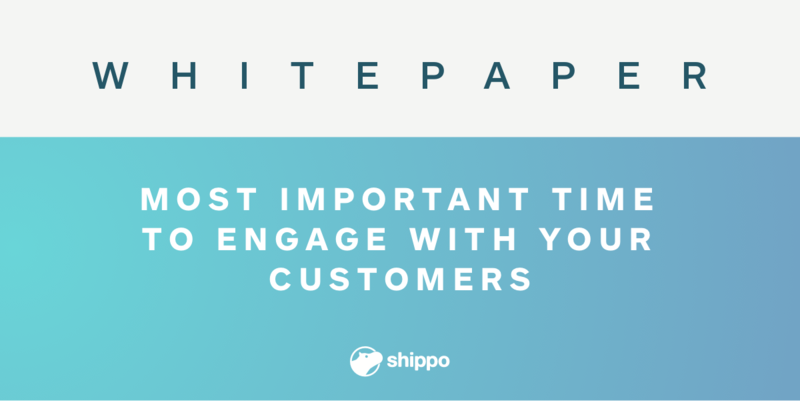 Download our whitepaper: The most important time to engage with your customers to explore case studies and examples of how to use shipping data within each business operations to build customer loyalty, decrease support overhead, and increase sales.